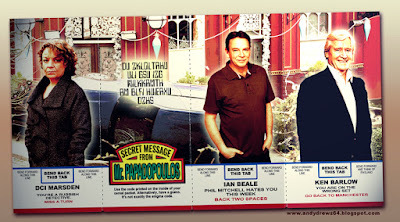 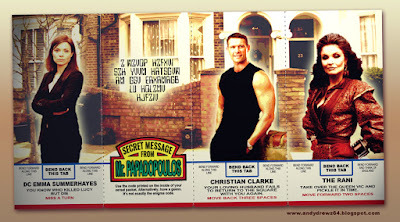 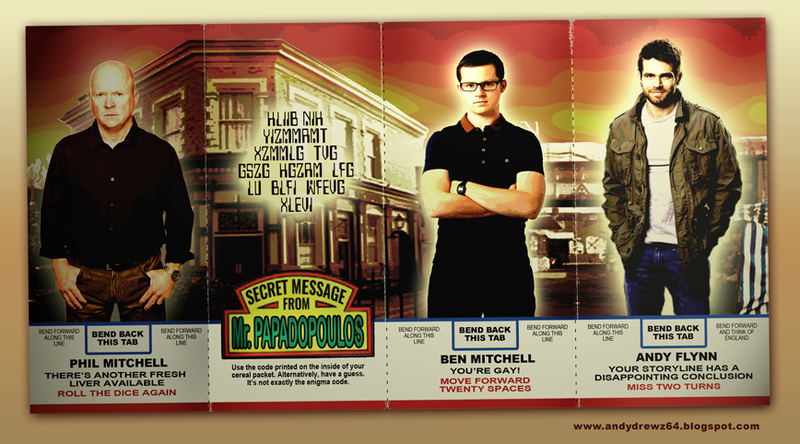 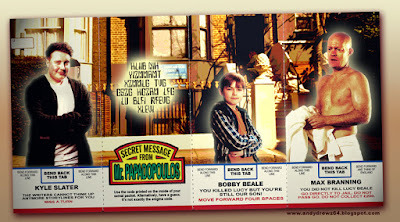 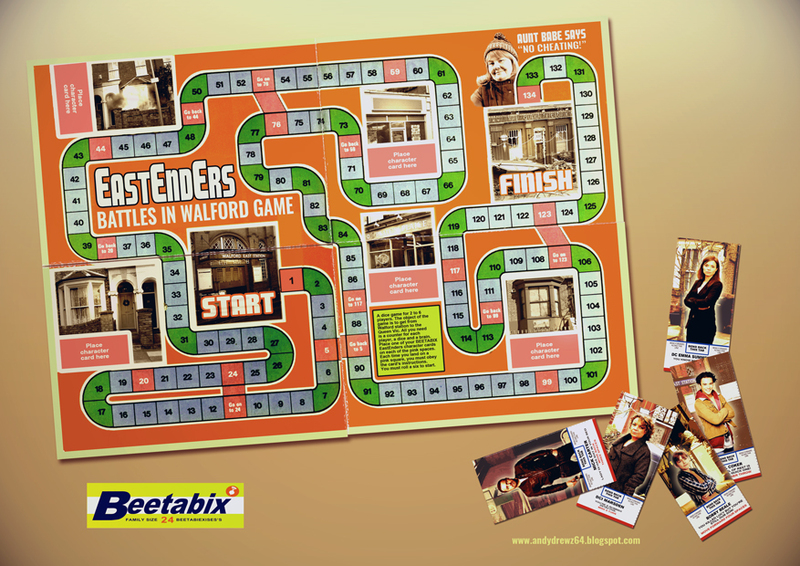 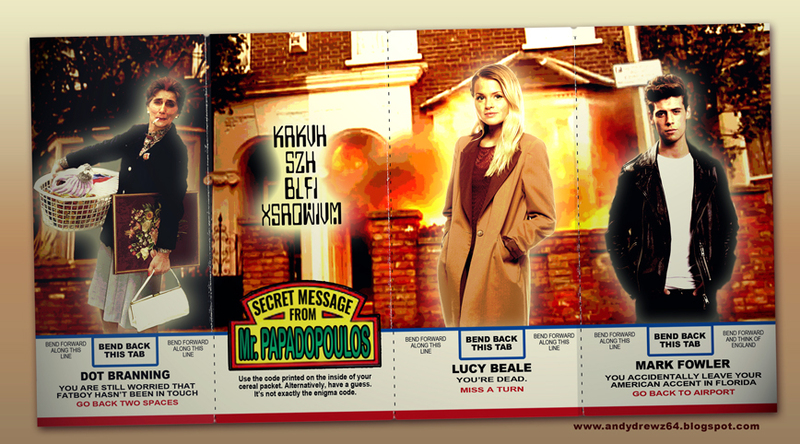 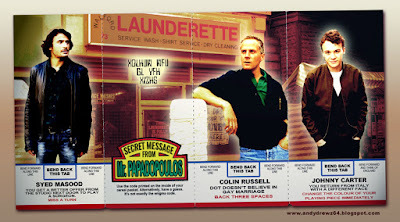 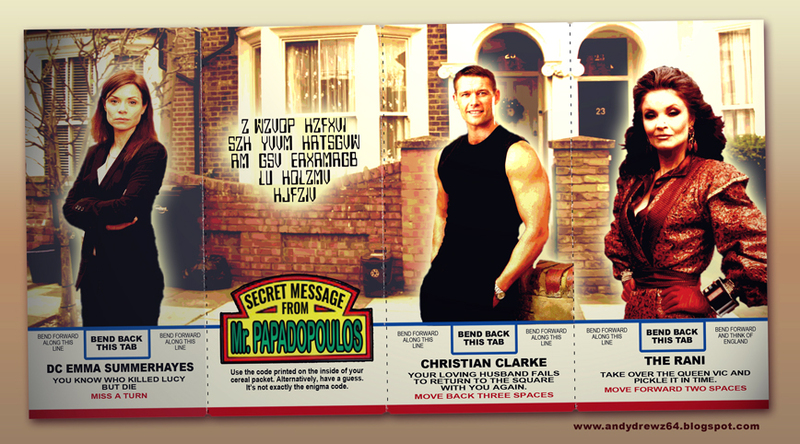 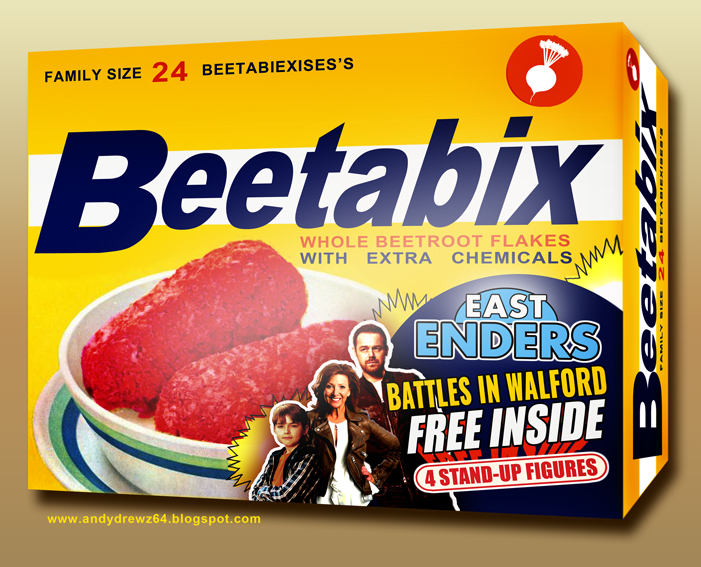 Andydrewz's Pages: The EastEnders Beetabix Promotion - Free Figures In Every Pack!!! 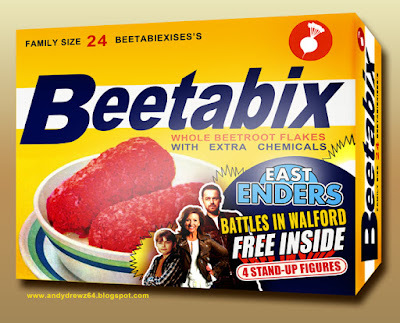 The EastEnders Beetabix Promotion - Free Figures In Every Pack!!! 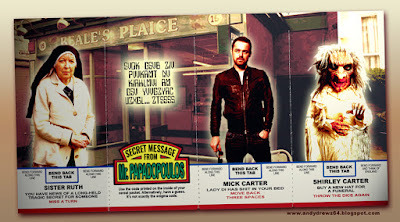 One of the most popular Doctor Who commercial promotions of the 70s was run by Weetabix when they offered free cardboard figures of the Doctor and his friends in every packet. 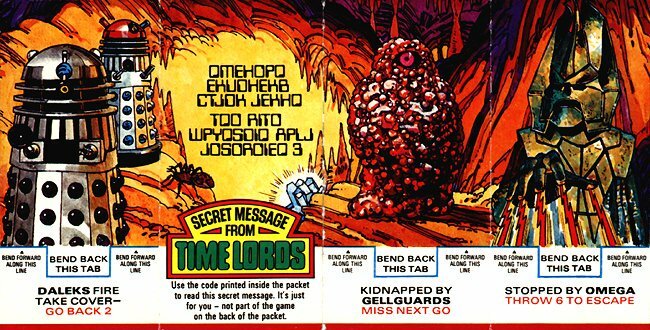 It was so popular, they did it twice with the TV Time Lord and ran similar promotions with Disney characters, Asterix and one for Star Trek The Motion Picture. Here's something I knocked up based on the second Doctor Who promotion. 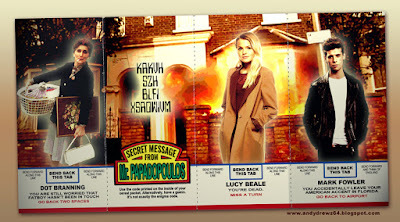 Each box of Weetabix contained four figures - three 'monster' cards and a "Secret Message From Time Lords" (sic). 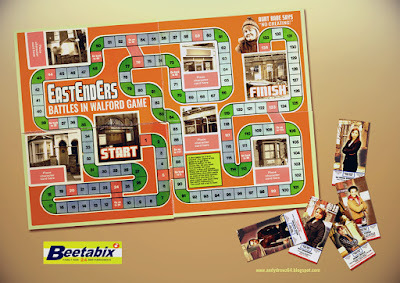 The monster cards could be slotted into one of four game boards that adorned the back of each pack and became forfeits for landing on specific squares during game play. You could also try to decode the secret messages from Mr. Papadopoulos... if you really want.